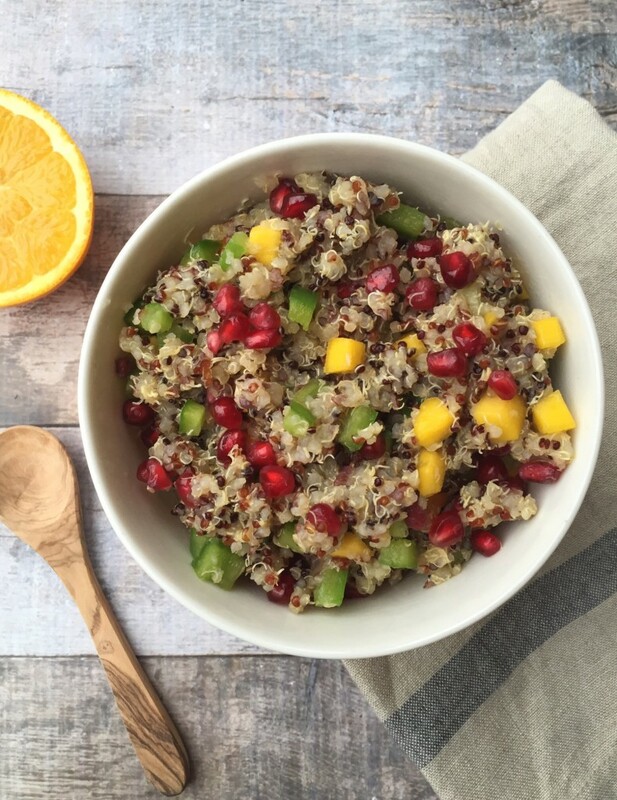 This Colorful Warm Quinoa Salad can quite honestly be served warm, room temperature or cold. We have had it at every temperature and absolutely love it.The sweet and savory dressing really makes the salad wonderful. Place all ingredients in a small glass bowl and stir with a spoon until combined. Prepare quinoa according to package directions using the ratio 50/50 (water to vegetable broth). Fluff cooked quinoa with a fork. Add the dressing, mango, green bell pepper, and pomegranate seeds and gently toss together.